Several decades ago, traditional metal braces were the only option available for patients to get a beautiful, straight smile. However, the traditional take on braces changed when lingual braces were introduced. These are metal braces that go in your mouth, except they are bonded to the back of your teeth instead of the front. This option is a popular one for teens and adults, as they can hide their metal braces in their mouth as they straighten the teeth. Metal braces are “traditional” because the bracket-and-wire design they have has been used for decades. Before 1970, orthodontists anchored metal brackets to the center of each tooth and wound wires around the teeth to straighten them. After 1970, orthodontists continued to use metal anchorage devices (called brackets) on the front and center of each tooth. A metal archwire was sufficient for straightening when it ran along the upper and lower jaws across the front of the teeth. Traditional braces use a system of archwires and brackets that are bonded to the teeth to shift them into their ideal position. When we see you at your frequent checkups, we will adjust the archwire, which will exert more pressure on your teeth, moving them in place. The back molars will have metal bands that fit all the way around the back molars of the teeth. This is where the archwire will attach and be stabilized. Both top and bottom jaws will have these bands on them. The brackets on each tooth will have a rubber band around them, which are removable. They help keep your bracket hooks from catching on your mouth. How Are Lingual Braces Different? Lingual braces are similar to traditional metal braces. Many people don’t aesthetically like the look of metal braces, but they love their final straight smile. 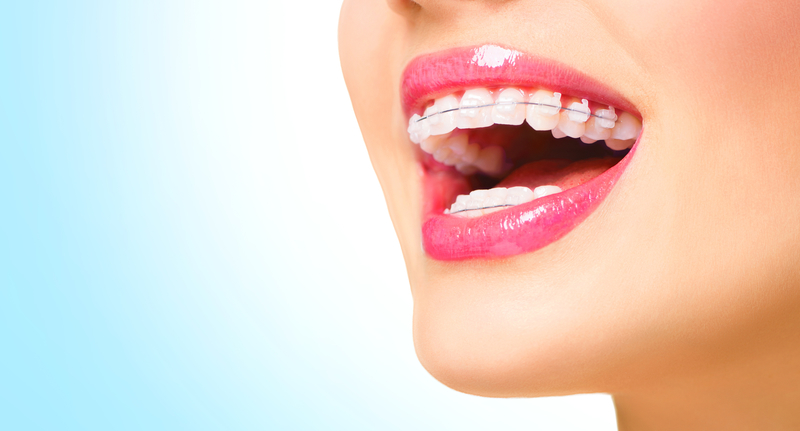 Metal braces are the strongest and are highly effective for achieving a beautiful smile. What can patients do if they want a straight smile but they don’t want braces front and center? Put that metal on the inside of the mouth between the teeth and the tongue! Lingual braces are metal braces just like the traditional version, except that they are on the tongue-side of your teeth. However, there isn’t as much room on the back of your teeth like there is on the front of your teeth. If you notice, there is also a bit of a curve to the back of some of your teeth. That bracket-and-wire design can’t be exactly like the traditional version, but the design can be similar. Using the same idea as traditional metal braces, you can achieve the same results as traditional braces, only with a hidden treatment apparatus on the tongue-side of your teeth. Patients that choose this option have impressions made of their mouth that focus on the backs of their teeth. After those impressions are sent to a special lab, metal backings for the teeth are made that are then bonded to the back of your teeth. They are almost like metal coverings for the entire tooth back, and often are silver or gold in color. These metal coverings also have small metal brackets and wires that discreetly correct bite and alignment issues over time. The concept is similar, but the design is tweaked to give lingual braces the same stability as traditional metal ones. The push for hidden braces first started in the 70s with celebrities and public figures that wanted straighter teeth without visible metal braces. Craven Kurz and Jim Mulick were the first to develop prototypes for these braces in 1975. Craven Kurz was an orthodontist who later founded the American Lingual Orthodontic Association. Jim Mulick was the man Kurz partnered with from the UCLA School of Dentistry. 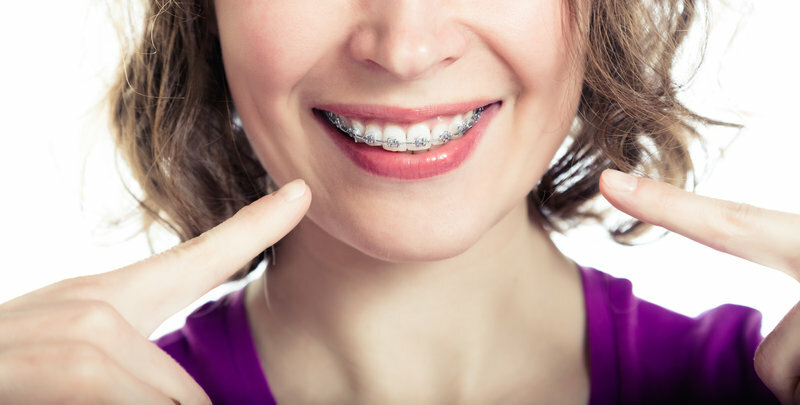 The first prototypes of lingual braces led to tongue irritation and bracket breaks, which were resolved by inventing an inclined plane for these braces. Lingual braces are usually made of stainless steel, but they can also be made out of titanium. Craven Kurz applied for a patent in 1976 and the first lingual braces were produced in 1979. Ormco was the company Kurz partnered with that eventually created 7 different generations of lingual models until the current model. Each model involved changes to the orthodontic appliance including the additions of hooks and crannies, anterior and molar brackets and hooks, inclined planes, torque values, transpalatal bar hooks and a heart-shaped inclined plane. There are various designs of lingual braces that will vary based on how they look and how they are attached to the teeth. We use the “Incognito” style, but you may also hear types such as “iBraces”, “In-Ovation”, “STb Light Lingual System” and “Suresmile Lingual QT”. Getting braces at all is a major step in the right direction if you want to be successful. Studies show that people who straighten their teeth often feel more confident in themselves, and their actions become more confident. Due to social, economic or aesthetic concerns, many patients may have the desire to straighten their teeth, but they don’t want to have metal braces on their teeth. For adults with careers or active social lives, they may view traditional metal braces as something only children and teens have. However, at least 1/4th of patients with braces are adults. You simply may not see those braces because they have invisible braces like lingual braces. Lingual braces can achieve the same effect as regular metal braces without being seen. For a career setting, you can keep your white smile as it slowly becomes straighter overtime. For athletes, there isn’t a worry about dental injuries, as brackets and wires won’t cut up the cheeks or gums. Those who play wind instruments will find that lingual braces are much easier to play with than traditional braces. You get both the aesthetic appeal with sturdy straightening power with lingual braces. If you would like your free consultation, call Belmar Orthodontics today at (303) 225-9016! Braces is an exciting time for getting that straight smile you’ve always wanted. The not-so-exciting part about braces though, is that they give you a greater risk for cavities. Because there are appliances attached to your teeth, they can become havens for bacteria and plaque buildup. Proper oral hygiene, avoiding certain foods can help you prevent cavities during your time with braces! Finding cavities before you get braces is key to ensuring that you have a healthy smile before getting brackets and wires on your teeth. With braces, you will meet often with your orthodontist to have your braces adjusted. However, you still need to go to your dental appointments to make sure you don’t have cavities during braces. Traditional metal braces, ceramic braces and lingual braces all have brackets and wires that go on your teeth. 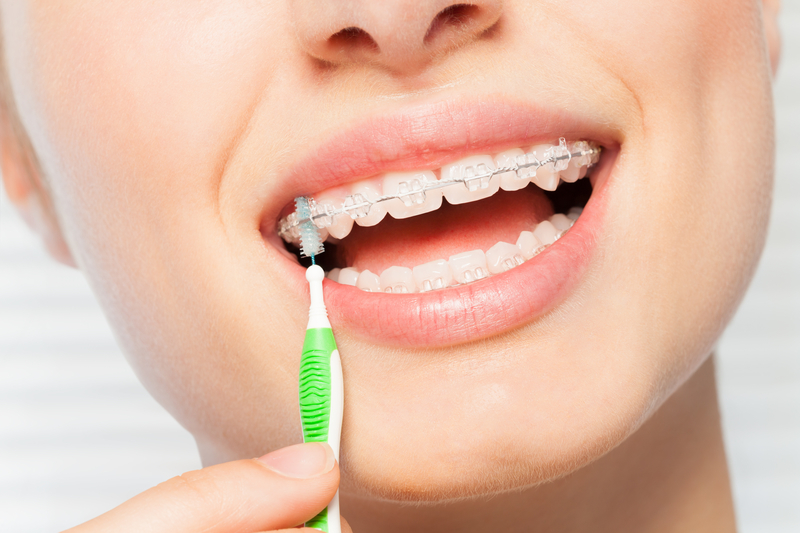 Before you get fitted for these braces, you will have dental x-rays taken by the dentist to detect cavities. It’s very important to get your exam so tooth decay is detected. Otherwise, you could end up with large cavities during braces. If cavities are found, they must be fixed before we put your braces on. The status of your smile and your oral health will depend on what you do once you get your braces. The American Dental Association recommends brushing your teeth at least twice a day and flossing 1-2 times. That recommendation is for patients who don’t have braces. When you have braces, you have to be extra meticulous with oral hygiene practices and you will have to do them more than you used to. That means, brushing after every single meal if you can. Brush your teeth after every meal. Use a soft-bristled toothbrush with fluoride toothpaste, and brush for 2 minutes every time, making sure to go in all different directions to dislodge food. Floss your teeth. This is a habit many people skip with braces because it takes a bit more time. However, it’s time well spent. Floss at least twice a day, using threadable floss. This kind of floss allows you to thread it through the spaces between your teeth, pulling it through so you can floss like normal. It makes flossing a breeze and helps prevent cavities during braces. Use orthodontic cleaning tools. A waterpik is a great water-spraying tool that can help you dislodge stuck food. A braces brush (that looks like a Christmas tree brush) can get food out of brackets. Watch what you eat! More sugar means more cavities during braces. Limit how much sugar you eat. You want to avoid sticky, sugary foods such as taffy, Starbursts, dried fruit, gummies, fruit snacks, caramels, and anything similar. Sometimes, tooth enamel is simply weak and tooth decay happens, despite all your hard effort to avoid cavities. When you eat, sugars in your food mixes with mouth bacteria to create plaque. That plaque sticks to your teeth and slowly eats it away, creating decay. You only need plaque stuck in the right place to develop cavities during braces. When you have hidden tooth decay, you may start to feel symptoms such as a toothache, tooth sensitivity or pains with hot and cold. When you see these signs, get dental x-rays taken to see if you have cavities during braces. If there is a cavity, you actually can have it fixed even if you have braces. It all depends on where the decay is. 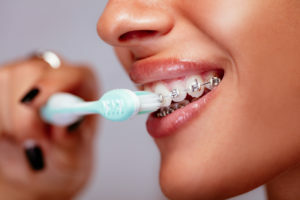 In most cases, cavities during braces can be fixed because many will lie on surfaces not covered with brackets or wires. You would have the decay drilled out and filled as you normally would. However, if you have a band on your teeth or brackets and wires right where decay is, we would have to remove the bracket or wire while you get it fixed at the dental office. We would then have you come back to our office to get your dental appliance reattached. Patients can sometimes develop such severe cavities during braces that they will need root canals. However, if you are taking care of your teeth, you won’t ever have to worry about that. If you are worried about cavities during braces or have seen a family member get cavities during braces, then getting braces might make you nervous. However, no matter what braces option you choose, the benefits of a straight, beautiful smile can last a lifetime. It’s definitely worth it to get braces; you will just have to be careful to take care of them. If cavities during braces are a concern, consider the benefits of using Invisalign aligners. This is one of our most popular orthodontic options for teens and adults because it is a hidden option for straightening your teeth. Invisalign transparent aligners are a series of custom-made aligners (like retainers) that fit incredibly snug to your teeth. We take digital calculations of your mouth, where we then design transparent aligners around the shape of your teeth and where we want them to be 18-24 months from that time. Each week, you will switch to a new aligner, which will slowly put pressure on different areas of your mouth, shaping the teeth into a straight line. The aligners are clear and designed to be virtually unnoticeable on your teeth. When it comes to cavities during braces, you are the one that decides if you will get them with this orthodontic option. That’s because that are completely removable for eating, drinking, flossing and brushing your teeth. It takes less time to brush and floss because of this and there are no appliances on your teeth. This can reduce your risk for cavities during braces, especially if you already know that you have weak tooth enamel. For any questions about cavities during braces, call Belmar Orthodontics at (303) 225-9016! How important are adult braces? Not only do braces enhance your appearance, but they help prevent tooth decay and oral health problems. The American Dental Association tells us that braces are used to correct bite problems and malocclusion. Correcting these problems helps prevent oral health issues such as tooth decay, gum disease, jaw problems and even tooth loss. Proper orthodontic care goes beyond simply improving your oral health. Braces will give you added confidence that will boost performance in all facets of your life. Let us show you just how important braces are and why you should invest in them whether you are an adult or a child! About 75 percent of orthodontic patients are children and teens. Of that number, the majority opt to have traditional metal braces. Traditional metal braces are the most economic choice for orthodontic care if you are looking to improve your smile without breaking the bank. Children can receive braces as early as 7 or 8 years old depending on their needs. The adolescent years are the most common period for receiving braces when the head and mouth are still growing (especially the jaw). When children as young as 7 or 8 receive orthodontic treatment, it is usually to correct problems with alignment or bite that can become severe in later years. This early intervention ensures that teeth come in correctly in a child’s mouth and that the bite is aligned correctly. This will help correct problems with speech, biting, chewing, talking and even physical appearance. Orthodontic care during the adolescent years is generally used to correct alignment by straightening the teeth. Both bite correction and proper alignment is vitally important to oral health. When the teeth are crooked, problems such as tooth decay and gum disease can easily set in. This is because food becomes trapped in the teeth when you eat and is much harder to remove when the teeth are crooked. Gums can become irritated when plaque sits on the teeth for too long. Over time, plaque-infested gums can become red, swollen and can bleed easily–especially when flossing. Gums can even begin to recede to the point where the teeth fall out. Recession occurs more frequently with teeth that are crooked and harder to clean. Teeth that have been straightened through orthodontic care avoid some of these challenges. When bite is misaligned, the teeth can come in crooked in a child. Patients may have overbite, underbite, crossbite, openbite or malocclusion. 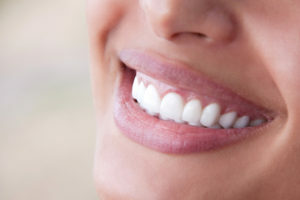 All of these types of misaligned bites will interfere with eating and speaking as well as the physical appearance of the mouth and face. This is because many of the teeth overlap one another abnormally or one jaw protrudes more than the other. Orthodontic care through braces for children and adult braces can correct these problems. Orthodontic treatment through adolescent and adult braces can help ensure that there is enough space for all the teeth to sit comfortably in the mouth. Are braces something you should invest in? The answer is yes! Whether you seek adult braces or braces for children and teens, you are making a decision that has far-reaching effects. The majority of people will experience crooked teeth at some point. What you decide to do about it is up to you. Braces—even adult braces—are actually quite desirable today according to reports by the Los Angeles Times, The Washington Post, The Wall Street Journal and more. The amount of adults wearing braces rose 24% between 1989 and 2008 alone and that number has continued to rise. Why? Braces have become more affordable and more attractive. Insurance even covers part of the cost for many patients. Braces are also more comfortable than they were in the past and there are more options for patients seeking orthodontic treatment. The social benefits of braces alone draw people in as well. There have been many studies done about the importance of braces. Invisalign conducted one such study several years ago that recorded more than 1000 responses by pedestrians on the street. These pedestrians were asked to choose from two pictures of people placed side-by-side. Who would they trust more? Who seemed more confident? Respondents did not not beforehand that the comparison was between people with straight smiles and people with crooked smiles. From that study, it was found that those with straighter smiles were perceived as more confident, more successful, more attractive and up to 70% more trustworthy. All from a better, straighter smile! Proper orthodontic care can also get you ahead when it comes to job interviews and new opportunities. 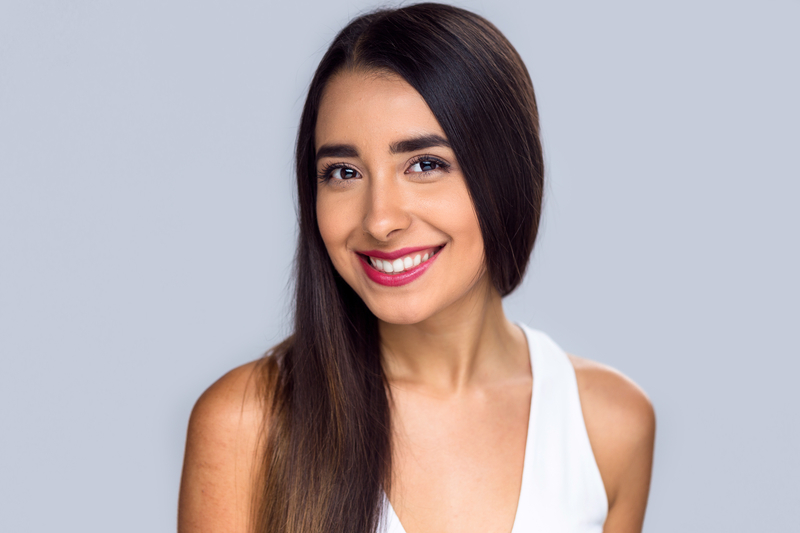 Because a straighter, more beautiful smile has been shown to exude all of the characteristics above, those traits are also perceived in job interviews and during first impressions. Adult braces can help you land that job you’ve wanted and can help you get ahead professionally. Incognito Lingual Braces: Metal braces attached to the inside of the teeth that stay hidden. Invisalign Transparent Aligners: Transparent aligners that are changed every few weeks to shape your teeth into proper alignment. Ceramic Clear Braces: The look of traditional metal brackets made in ceramic form. Both the brackets and wires can be made white to match your natural teeth. At Belmar Orthodontics, we do all that we can to ensure your mouth stays healthy and your smile bright. Our success is dependent on your success. This is why we offer you so many options when it comes to straightening children’s teeth or investing in adult braces. To learn more about child and adult braces, call our office today at (303) 225-9016!